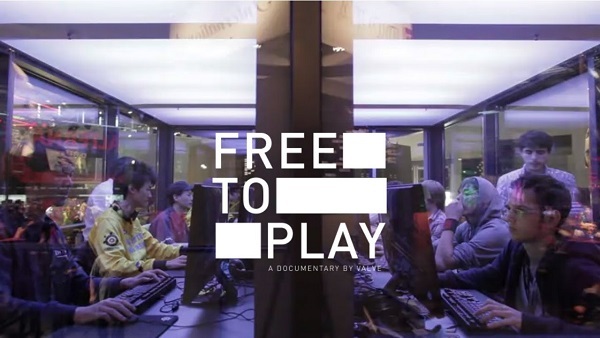 Free to Play is a documentary focusing on three pro-gamers as they compete for a million dollar prize at the Dota 2 International Tournament; and it is now completely free for anyone to watch. Produced by Valve, the show lasts a little over an hour and provides a look behind the scenes at what goes on behind one of the world’s largest eSports tournaments. The three players featured are Dendi from the Ukraine, Singaporean Beneditc “HyHy” Lim, and Clinton “Fear” Loomis. Each provides a different point of view about how eSports is treated in their respective countries; and in turn manages to prove the point that the Dota 2 International lives up to the international moniker. Free to Play is currently free on Steam, Youtube, and iTunes. Although it must be noted that the Steam version is in full HD with a 5GB download. Celebrating the release of this documentary is the Free to Play Competitors Pack for purchase on Steam. This pack features special item sets created specially for each of the featured competitors. While this is obviously a marketing move, Valve has decided that 25% of the sales of these items will go back to the three players in the documentary; as well as the contributors who created the sets.